At the age of thirty-four, journalist Jacqueline Raposo finds herself sick, single, broke, and wandering in a fog. Despite decades of discipline, her chronic illness is getting worse. Despite hosting a radio show about dating, she hasn't been in love in years. And despite a successful writing career, she's deeply in debt. 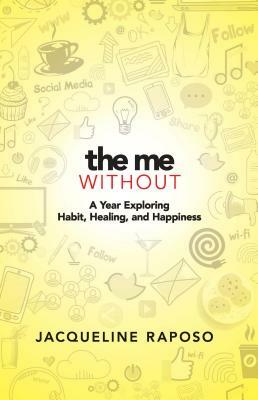 Weary of trying to solve her problems by adding things to her life, she attempts the opposite and subtracts some of her most constant habits -- social media, shopping, sugar, and negative thoughts -- for periods of thirty to ninety days over the course of one year. Jacqueline Raposo is an expert interviewer. Her over 400 stories cross article, essay, and podcast production featuring humans in the fields of food, lifestyle, entrepreneurship, tech, art, medicine, and more. Regular publications include Food & Wine, Saveur, Cosmopolitan, Bust, Extra Crispy, Plate, and Tasting Table. She studies "why and how we love in all forms" as the producer and co-host of Love Bites Radio, and connects chronic illness/disability advocates with protest events as the co-founder of #MarchingWithMe. You can find her at www.jacquelineraposo.com.